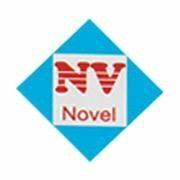 Novel Excellence Sdn Bhd - Novel Excellence SDN BHD is providing all kind of stainless steel work. Our workers are experienced and professional to install every kind of stainless steel door. Nowadays, case of robbery is increasing, a save door are needed to avoid robbery. Do your door safe enough? Our company can guarantee to give you a save door and unique design. Novel Excellence SDN BHD is providing all kind of stainless steel work. Our workers are experienced and professional to install every kind of stainless steel door. Besides that, Novel Excellence SDN BHD is first stainless steel design with wood color effect in Malaysia. You are welcome to visit our company to look for more information about our company service. We strive to achieve higher production level to fulfill customer’s satisfaction. We promise will deliver the best quality of products with fair prices. Please do not hesitate to contact us for any enquiry. We are always standby to serve you. 19, Jalan Anggerek 3/2, Taman Anggerek, 81200 Johor Bahru, Johor, Malaysia.